This weekend, Dove soap was forced to pull a Facebook ad which appeared to show a black woman miraculously turning into a white woman as a result, presumably, of the purifying power of their soap. So, you can see, perhaps, where Dove was hoping to go with this ad. 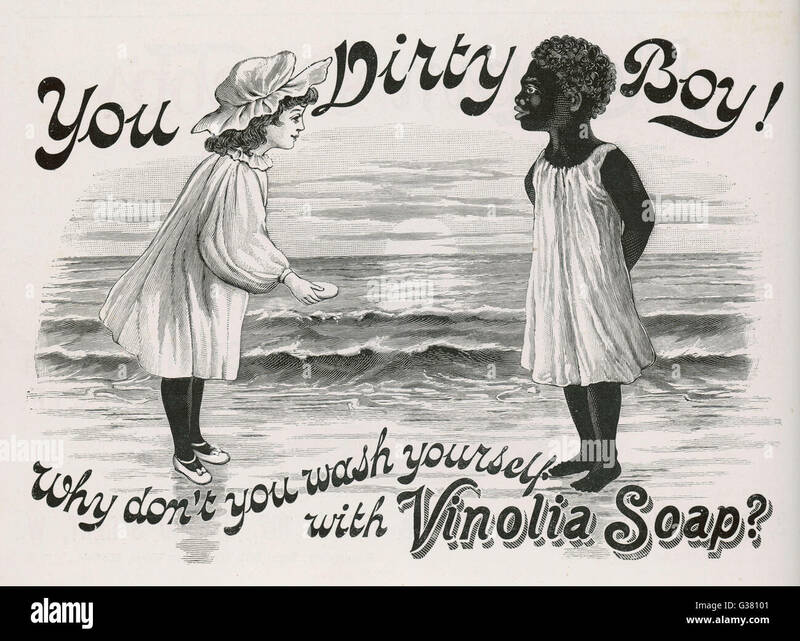 The intended narrative wasn’t about a black woman cleansing herself into a white woman, but about how, despite our seeming differences, we all have skin and therefore all need to buy soap. It’s not the worst pitch I’ve ever heard. The problems here, however, are many. The version of the ad which garnered so much attention featured only three women from the apparently diverse cast and began with Ogunyemi transforming into a white model. So you can see, perhaps, why the ad caused so much offense. As a part of a campaign for Dove body wash, a 3-second video clip was posted to the US Facebook page which featured three women of different ethnicities, each removing a t-shirt to reveal the next woman. The short video was intended to convey that Dove body wash is for every woman and be a celebration of diversity, but we got it wrong. It did not represent the diversity of real beauty which is something Dove is passionate about and is core to our beliefs, and it should not have happened. We have removed the post and have not published any other related content. This should not have happened and we are re-evaluating our internal processes for creating and approving content to prevent us making this type of mistake in the future. We apologize deeply and sincerely for the offense that it has caused and do not condone any activity or imagery that insults any audience. As a reformed marketer who used to get homework assignments to write brand apologies in grad school, I’ve been thinking about what kind of apology I would have penned. In some senses, this is a wise strategic maneuver. Politics of any kind has long been considered the third rail of advertising, and conventional wisdom says that political stances should be avoided at any cost. The problem is, that doesn’t work in a world where everything is political. It doesn’t work in a world where failing to say anything isn’t neutral, but tacitly complicit. In world where black men are being murdered in the street and incarcerated at alarming rates, you can’t respond to concerns of racism with a shruggie and an “our bad.” If you want to apologize, you need to do more than that. This is what systemic oppression looks like – a man with power comes to the game, tweets a couple things out and leaves the game with an attempt to thwart our efforts. And in many ways, that’s what the Dove ad – and the inevitable “racist or not?” debate that followed – comes down to. This is what systemic oppression looks like. It’s not Dove’s fault they made an ad that was interpreted as racist. It is the collective fault of a society in which white is implicitly assumed to mean better. Of a society in which certain perspectives and narratives are constantly and consistently marginalized and pushed out of the collective consciousness. How many people of color worked on that Dove ad, do you think? How many people of color were involved in the concept? In the editing? The ad isn’t the disease, it is a symptom. As I’ve been thinking about it, I’ve become even more disappointed that Dove didn’t take advantage of the opportunity. That they didn’t apologize more fully and meaningfully. The ad was problematic, sure, but if they were serious about being a bastion of diversity, the mistake also set them up for heroism. They could have come out so strong on this, could have come out acknowledging that they failed – that we all fail, because we’re embedded in a system of white supremacy where it’s easy, from a position of privilege, to miss the offense you can cause. Because no advertisement has ever implied that “people like you” are dirty, it never crossed your team’s mind that this could be a concern. They could have said that they’re doing their best to unlearn harmful social norms, to educate themselves to do better in the future. They could have said that mistakes are inevitable, and they appreciate people calling them out when they happen. They could have said that we’re all a little bit racist because we live in a racist society. They could have said they’re doing their best to change that, to fight against it every day. They could have said so much in their apology. They could have said so much more than a half-hearted “missed the mark.” They could have – and they should have. That’s what I would recommend if I were on Dove’s PR team. Of course – this may be the reason I don’t work in corporate advertising. This entry was posted in Marketing Communications on October 10, 2017 by sshugars. You can see, perhaps, the problem. There is plenty to analyze in terms of what is wrong with the ad, but, as someone with a background in marketing, I find myself more interested in a related question: how did the ad get made? Interestingly, Pepsi used an in-house firm to design the ad – a move which many in agency life fingered as the culprit. If only Pepsi had had an outside perspective, an external agency with a beat on the broader culture, such an ad would never have been made. While there’s no way to know if that may have been a mitigating factor, ad agencies have made their fair share of gaffes, too. But whether the ad was created by an in-house firm or an outside ad agency, it would have needed to go through numerous iterations and revisions. Numerous people must have looked at the ad concept, script, and footage. And none of them seemingly walked away questioning whether the ad could face backlash. Now, I don’t know the demographics of the marketers who made this ad, but I’d bet good money that the majority of them were white. And while that may be an implicit assumption which goes hand in hand with the very notion that this ad was created, it is worth pausing for a moment and reflecting on this. When company’s make blunders like this, we shouldn’t just mock them and wonder how they got so out of touch. We more or less know, sociologically speaking, exactly how they got out of touch. When everyone reviewing an ad is more or less the same, we shouldn’t be surprised when they turn out tone-deaf material. The outrage here shouldn’t just be about one ad or about one company; we should all be outraged that we live in such a deeply segregated society that in a whole room full of people it is hardly surprising that not one black voice was heard. This entry was posted in Marketing Communications on April 12, 2017 by sshugars. The interjection “whoa” – defined in the Oxford English Dictionary as: a command to a horse to stop or stand still” or “a general interjection expressing surprise, delight, etc.” has been in use since the early 19th century. Whoa. W. H. O. A. has more and more frequently come to be spelled as ‘woah’, as if the ‘h’ is precariously trying to escape from the whole messy situation. In 2013, Slate wrote a whole piece on the gaining popularity of the wrong / new spelling: “All things considered, it’s been a banner year for “whoa,” no matter how you prefer to spell it,” they write. That is, after all, what it means for English to be a living language. This entry was posted in Marketing Communications on April 5, 2017 by sshugars. I’ve been reading a lot lately about the communication channels people leverage to stay in touch with each other. A particularly engaging series of articles begins with panic about the results of the 2004 General Social Survey (GSS): As McPherson, Smith-Lovin, and Brashears write, the modal respondent reports having no confident with whom they “discuss important matters.” That is down from a modal response of 3 in 1985. Perhaps the most amusing response comes from Claude Fischer, who seems to think technical or human error is the most likely culprit of the precipitous drop – a claim he validates convincingly by showing that the 2004 GSS is poorly aligned with other relevant data. But a broader line of inquiry is raised by these findings: just what does it mean to “discuss important matters” and how has our collective understanding of that question changed? McPherson et al argue that the decrease in confidants could in fact be an artifact of modern life: if people interpret “discuss” as requiring face-to-face interaction, and they have replaced such modes with phone or internet communication, they may find themselves no “discussing,” per se. Communication, however, has changed dramatically even since 2004. A senior in college then, I was a relatively late adopter and had only had my own cell phone – a flip phone, of course – for 2 years. I had a big, clunky desktop computer and I chatted with my classmate over AIM. I wasn’t on Facebook – it wasn’t yet really a thing – and I personally didn’t use MySpace or LiveJournal. Those sites didn’t seem to be as much about keeping in touch as about broadcasting yourself. I was 19 years old and I barely knew who my self was. Looking back now, I wouldn’t be surprised at all if most of my conversations were face-to-face. While my phone and the internet provided some shortcuts and enhancements – face to face was the only way to really have a conversation. Now I Snapchat my nieces every morning. Personally, I would interpret the phrase “discuss” more broadly; I discuss important matter with people over the internet all the time. But what’s more interesting in this discussion is the arguably old-fashioned reticence to let go of face-to-face as being the only meaningful mode of communication. But that, I think, undersells the richness of communication that is possible today – and it under appreciate’s people’s ability to leverage those communication channels. It is easy, I suppose, to roll one’s eyes and claim that kids these days don’t know what it really means to have a conversation – but I think that is too much an oversimplification; and doesn’t give nearly enough credit to young people who want to communication, who are able to communicate, and who are fully capable of leveraging new channels and technology to discuss important matters in ways that were simply not possible before. This entry was posted in Marketing Communications on March 27, 2017 by sshugars. In my Network Economics class, we’ve been talking about the “sharing economy” (or, arguably, the “so-called sharing economy”). Companies like Uber, AirBnB, even Ebay and the 3rd party seller mechanism of Amazon. While these companies arguably open the door for regulation loopholes and worker exploitation, in their purest, ideal, form, they allow “average people” to benefit from their unused resources: people can make some extra money driving strangers, hosting strangers, or selling miscellaneous items to strangers. In return, other average people can get rides, places to stay, or miscellaneous items. Personally, I have a lot of questions and skepticism around the “sharing economy,” but that debate isn’t the point of my post today. One of the core ideas that supports the sharing economy is a reputation system. The sharing economy wouldn’t work without it. It takes trust to get into a stranger’s car, stay in a stranger’s house, or send money to a stranger – and that trust is generated by a reputation system. These markets are able facilitate exchange between strangers because participants in the system have a reputation – and upholding that reputation is worth more then the temporary gain of ripping someone off. To be clear, reputation systems aren’t anything new – you trust a bank because it’s FDIC insured, you trust a hotel because it has a certain star-rating, and you trust a company because it, too, has a reputation to maintain in the broader market. But what’s interesting about the modern reputation systems is that they tend to me much more individual. It is not institutions or brands earning your trust, but real, individual people. In theory, a service like AirBnB doesn’t even have to be about monetary exchange – with a solid reputation system in place, people could use it as a place to earn and spend hosting credits, or to otherwise barter for a cheap place to stay. Fundamentally, a reputation system is a way to quickly establish trust between people who wouldn’t otherwise have the personal history required for a trusting relationship. Regardless of how you feel about the impacts of the sharing economy, I find this particular mechanism fascinating. And, as I am so often inclined to do, that interest immediate makes me wonder: what would this look like in a civic system? A reputation system for good deliberators; where people who listen and provide rational arguments are rated highly while trolls are pushed to the margins. A reputation system for urban developers; where developers who genuinely listen to community input are rated highlight and those just looking for profit are down rated. A reputation system for every day, neighborly interactions: don’t know your neighbors but need to borrow a cup of sugar? Find out who in your neighborhood doesn’t mind being asked. …Do people still borrow a cup of sugar from their neighbors? I imagine not because people don’t know their neighbors and don’t know who to ask. I can imagine other sorts of reputation systems which spill into the sharing economy as it exists today: a reputation system for finding a place to crash or getting a ride from the airport. These systems have the dangerous potential to turn into little more than corporate scheming to evade regulation – but taking primarily as a reputation system with a civic mission, it seems like such organization could have beneficial potential. This entry was posted in Citizens & Civil Society, Marketing Communications on March 16, 2017 by sshugars. I’ve been trained to think like a marketer, and I tend, at times, to think of social justice efforts through this lens too. That is, if you’re trying to bring about behavior change among a large portion of the population, what communication strategies and tactics do you use to bring about this change? This way of thinking is somewhat distasteful given the manipulative reputation of marketing as a profession, but I find it useful nonetheless. From this perspective, the strategy of a social justice movement would be to appeal to the largest possible number of people – to welcome everyone under a “big tent” vision of the cause. If this is your goal, then the strategy becomes relatively straightforward: create messages with broad appeal, take actions which generate sympathy, in all things go for the broadest reach and broadest appeal possible. This is all very reasonable from a marketing perspective. However, there’s a problem with this approach: the bigger your tent, the more diluted your vision. The more you try to please a broad group of people, the more you will have to relax your core stance. This balance applies to any issue, not just social justice. Robert Heinlein used to argue that it was impossible to make a decision if more than 3 people are involved. Any time you have a large number of people in one place, the number of things they can really, deeply agree to will be minimal. If you’re a marketer trying to maximize your profits, find the right balance takes skill but is relatively straightforward: appeal to the largest number of people possible while also creating a coherent brand identity. There’s a trade-off between the two, but no real sacrifice either way. The calculation is more complex when it comes to social justice: just how much are you willing to let go? This is an important question with a non-trivial answer: appeal to many people and you increase your chances of accomplishing something – but you also make it more likely that what you accomplish will be a toothless, meaningless shadow of your original goal. There are varied opinions on which side of this spectrum it’s better to be on, and there’s no easy answer. When doing nothing is disastrous, is it better to accomplish something ineffective or to accomplish nothing at all? Perhaps doing something is better than doing nothing; or perhaps an empty victory only serves to alleviate the sense that something needs to be done – making it virtually impossible for any real change to occur. I don’t have an answer to this question – certainly not a generalizable one which could be applied to any issue at any time. But I do think that both arguments are reasonable – that we must appreciate the efforts of all who strive towards social justice and to value their input and perspective – even when we disagree. This entry was posted in Citizens & Civil Society, Justice, Marketing Communications on September 26, 2016 by sshugars. One of the most intriguing sessions as last week’s Frontiers of Democracy Conference was on “democratic reading and writing,” a topic inspired by Danielle Allen’s Our Declaration. I’ve only just begun reading Allen’s book, but I am struck by the core of her argument. This seems like something of a bold statement. Not that language is explicitly not required, but there are so many great barriers to political equality, it is easy, perhaps, to dismiss language as the least of our problems. But words do have power. In How To Do Things With Words, J.L. Austin argues that words can, in the fullest sense, be actions. The performative act of an utterance goes beyond the physical action of speaking; something is actually accomplished by the words themselves. Not all utterances are performative acts, but some words do have this power. Words may bind one into an agreement, or may have a real impact on the listener. The process of reading and writing democratically is messy, frustrating, and hard. But from it, Allen argues, emerges a greater whole, something better and stronger than would have existed otherwise. “The source of sturdiness is solidarity,” she writes. In short, as Allen argues: this country was built on talk. This entry was posted in Civic Studies, History, Justice, Marketing Communications, Politics on June 30, 2016 by sshugars. I have a strong and general dislike for portmanteaus – words which have “two meanings packed up into one word,” as Humpty-Dumpty tells Alice in Lewis Carroll’s Through the Looking Glass. I mention this definition because it was the first use of “portmanteau” for this purpose. An origin which is particularly amusing when you consider that our egg-shaped friend was clearly bloviating and most likely invented all the definitions he elects to confer on poor Alice. The word comes from the French porte-manteau, from porter, to carry, and manteau, cloak. To be clear, I don’t have a distain for all portmanteaus. A word like ‘smog’ – smoke/fog – for example, seems to be appropriate name for something we wouldn’t otherwise have a word for. It is neither smoke nor fog, but we experience it as some novel combination of the two. Other words, such as ‘sitcom’ – situational comedy – or ‘motel’ – motor hotel – seem like reasonable abbreviations for phrases which would otherwise be antiquated and somewhat nonsensical. Fine. I will accept these into my lexicon. But a broader persual of English portmanteaus reveals a long list of cutesy words which are not nearly as amusing as I imagine their originators think they are. Please. Just stop it. I suppose that this is the natural course for a living language, though. People will create portmanteaus which will be trendy for a time before most fade from use altogether. The useful ones will last. Interestingly, portmanteaus are common in languages around the world. In French, this is described through the back-translation mot-valise (‘word-suitcase’) which subsequently became Kofferwort in German. I’m not aware of a specific Japanese term for this, but its linguistically common to combine and contract words. While I’m in no position to comment on the worthiness of portmanteaus in those languages, the broad existence of this trend in human language seems to indicate that there is something to be said for the practice of smooshing words together and seeing what comes out. But mostly, they just annoy me. Because usually, we don’t need a term for whatever the portmanteau intends to convey. And if we don’t need some cutesy, made-up name for some thing that may or may not even need to exist, let us, please, just stick with the real words we already have. This entry was posted in Marketing Communications on June 7, 2016 by sshugars. In 1987, computer scientist Robin Cohen outlined a theory of argument structure which laid the groundwork for modern argument mining tasks. Taking argument to a process in which a speaker intentionally tries to convince a hearer, her approach focused on understanding the structure arguments can take. This structure is generally tree-like: the speakers primary claim is the root, and supporting arguments appear as branches. Secondary arguments may further expand the tree, as the speaker makes claims to reinforce a supporting argument. That is, a simple argument can take the form A and B, therefore C, or could take the form A therefore B therefore C.
In this way a complex argument can be modeled a tree with all the various supporting and secondary arguments point back up to the core argument root. The problem that Cohen noted, which has continued to be a challenge in more recent argument mining techniques, is that core premises often go unsaid. While there are no doubt instances where this lack of clarity causes confusion for a human reader, in general, this is a challenge which is easy for people with their broad array of contextual knowledge – and terribly difficult for machines. Joel Katzav and Chris Reed formalize this missing argument (enthymeme) challenge. Defining an argument as “a representation of a fact as conveying some other fact,” a complete argument then has three elements: a conveying fact, the appropriate relation of conveyance, and the conveyed fact. In parsing content, then, an algorithm could work to define a sentence or otherwise defined element as either a “non-argument” or as one of the argument types above. This makes the computer’s job a little easier: it only has to recognizes pieces of an argument and can flag which arguments are incomplete. Furthermore, syntactic clues often give both humans and machines some insight into the structure of an implied argument: because X, therefore Y. Annotated debate texts can then help machines learn the relevant syntactic clues, allowing them to better parse arguments. This is still somewhat unsatisfying, though, as annotating texts is difficult, expensive…and may still be inaccurate. In one study of online-debate, Rob Abbott et al employed 5-7 annotators per post and still found not-insignificant disagreement on some measures. Most notably, it seems, people are not much better at recognizing sarcasm than people. Furthermore, arguments are not always…formal. In legal texts or a public debate, it might be reasonable to assume that a given speaker makes the best possible argument as clearly as possible for a general human audience. This assumption can not be extended to many online forums or other domains, such as student essays. Colloquially, syntactic clues may be missing…or may even be miss used. Latest work in argument mining has focused on over coming these challenges. A 2015 paper by Ivan Habernal and Iryna Gurevich, for example, aimed to build an argument mining system that could work across domains, on unlabeled data. An earlier paper by Christian Stab and Iryna Gurevich focused on trying to parse (often poorly-formated) student essays. By projecting argument elements into a vector space – or argument space – researchers can use unsupervised techniques to cluster arguments and identify argument centroids, which represent “prototypical arguments” not actually observed in the text. There’s still more work to do, but these recent approaches have been reasonably successful and show a lot of promise. This entry was posted in Computer Science, Marketing Communications on April 20, 2016 by sshugars. Not long ago, a friend asked me why anyone would want to engage in politics for politics’ sake. We worry about such things because we have to, but wouldn’t it be better, in some theoretical, ideal world, if we didn’t have to? Imagine, for a moment, a perfect world; a society so flawless that it was always just and fair without any need for engagement from its citizens. In such a world, people would have no need for the frustrating practice of politics – they would be free, instead, to devote their time to more productive endeavors. Now, such a thought experiment immediately raises all sorts of practical concerns; but let’s for a moment put those aside and assume that such an ideal society is both attainable and sustainable. In such a world, what would the role of citizens be? In thinking about this question, it seemed natural to turn to John Dewey, philosopher, educator, and unwavering proponent of what he called the Great Community . Dewey’s 1927 book, The Public and It’s Problems defended democracy and responded directly to the skeptical critique of Walter Lippmann. We have had occasion to refer in passing to the distinction between democracy as a social idea and political democracy as a system of government. The two are, of course, connected. The idea remains barren and empty save as it is incarnated in human relationships. Yet in discussion they must be distinguished. The idea of democracy is a wider and fuller idea than can be exemplified in the state even at its best. To be realized it must affect all modes of human association, the family, the school, industry, religion. There is no sanctity in universal suffrage, frequent elections, majority rule, congressional and cabinet government. These things are devices evolved in the direction in which the current was moving, each wave of which involved at the time of its impulsion a minimum of departure from antecedent custom and law. The devices served a purpose; but the purpose was rather that of meeting existing needs which had become too intense to be ignored, than that of forwarding the democratic idea. So, if ‘politics’ is simply the act of engaging in a narrow system of political democracy whose mechanisms randomly sedimented over time, it’s unclear that Dewey would have much zeal for the idea of politics as an essential element of human life. However, ‘politics’ can also be interpreted through the wider lens of democracy as a social idea; a concept to which Dewey was deeply committed. Regarded as an idea, democracy is not an alternative to other principles of associated life. It is the idea of community life itself. We are born organic beings associated with others, but we are not born members of a community. The young have to be brought within the traditions, outlook and interests which characterize a community by means of education…Everything which is distinctively human is learned…To learn to be human is to develop through the give-and-take of communication an effective sense of being an individually distinctive member of a community; one who understands and appreciates its believes, desires and methods, and who contributes to a further conversion of organic powers onto human resources and values. Importantly, Dewey argues that the two senses of politics cannot exist separately; without the broader understanding of social democracy, the mechanisms of political democracy reduce to nonsense: Fraternity, liberty and equality isolated from communal life are hopeless abstractions. It is only through the engagement of the people in this deeper politics, in democracy as a way of life, that we can ever achieve the mechanisms of political democracy we strive for. If, some how, the ideal world described above were possible – if justice rained from the sky with no effort from below; such a society would still be lacking in the moral concept of democracy writ large. The highest and most difficult kind of inquiry and a subtle, delicate, vivid and responsive art of communication must take possession of the physical machinery of transmission and circulation and breathe life into it. When the machine age has thus perfected its machinery it will be a means of life and not a despotic master. It had its seer in Walt Whitman. It will have its consumption when free social inquiry is indissolubly wedded to the art of full and moving communication. This entry was posted in Citizens & Civil Society, Civic Studies, Community, Marketing Communications, Politics, Utopia on April 4, 2016 by sshugars.